Years ago, if you didn’t get your teeth straightened as a teenager, you didn’t get your teeth straightened at all. 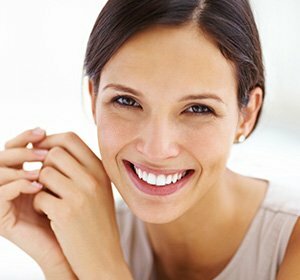 You may have even thought, can you get braces to straighten teeth as an adult in Ocala? The answer is yes! And we have several adult orthodontics systems that will straighten teeth in Marion County FL and give you the beautiful, uniform smile you’ve always wanted. Six Month Smiles in Ocala are a fabulous adult orthodontics system to straighten teeth. Why? Because they straighten teeth in SIX MONTHS! Six Month Smiles uses a system that has clear brackets put on your teeth and a tooth-colored wire that consistently will straighten teeth. The Six Month Smiles adult orthodontics system not only works quickly, but because the brackets are clear and the wire is tooth-colored. Six Month Smiles is barely detectable while it gives you a beautiful smile. This is perfect for adults and teenagers who are simply wanting a straighter smile and don’t have serious bite issues. We offer a clear braces system in Ocala. 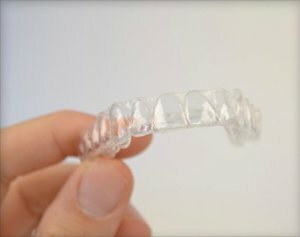 Clear braces use clear aligner trays that straighten your teeth consistently. Every two weeks, you will swap out the clear braces trays for a new set. Day by day, your teeth move into the smile you’ve always wanted. But the bonus is, as your teeth get straightened, nobody can see the clear braces! Smile all the while you are getting your teeth straightened. Clear braces are also very easy to care for. You remove them to brush and floss, and to drink and eat. Both are fast and efficient and give you a beautiful smile quickly. Both are less painful because they have no metal wires and brackets and don’t require the every few weeks tightening the wires traditional system. And no cutting or scarring your gums or the inside of your mouth. If you are interested in adult orthodontics to straighten teeth, ask about clear braces or Six Month Smiles at our Ocala practice. Call today if you are in Ocala and The Villages! Dr. Wayne Harper cares about your oral health and wants to make your smile beautiful with cosmetic dentistry right now!